Gensun Casual Living’s Online “Room Planner” shows how all the pieces can fit together. ONTARIO, CA – Potential customers who are having a hard time envisioning how to furnish an outdoor room have a new option. Gensun Casual Living’s Online “Room Planner” shows how all the pieces can fit together. All you need is a tape measure, imagination, and a computer. Customers don’t have to be interior designers or architects to make the most out of their little corner of heaven. To start, measure the dimensions of the outdoor room, then access the Room Planner application and create an account. 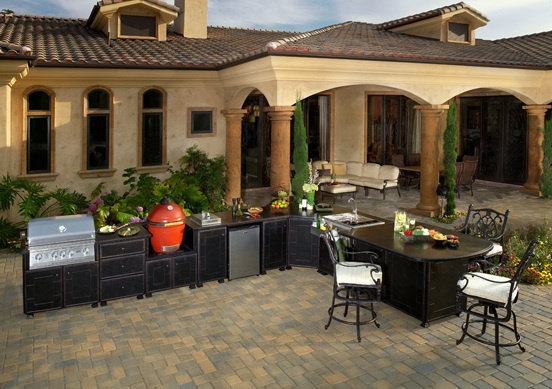 Dining, kitchen and fire pit/table collections are integrated from pull-down menus. “Once you’ve logged in, select from templates based on some of Gensun Casual Living’s most popular outdoor furniture and outdoor kitchen configurations,” says Hanson. “Or, customize a template to more closely match your existing space. Then, populate it with patio and pool furniture piece by piece. All of Gensun Casual Living’s furnishings are scaled to fit dimensions for a realistic projection of how the outdoor room will look. 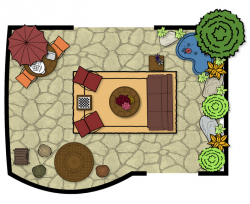 For DIYers looking to build a dream patio from the ground up, Gensun Casual Living’s Room Planner lets them choose from flagstone, poured concrete and decomposed granite, to grass, redwood decking and tile. Define the space with a couple of outdoor rugs and potted plants, then add boulders and bushes, trees, ground covers and flowers. Add a hot tub, water features and a concealable entertainment area for a truly deluxe outdoor room – then color it all in. Each of Gensun Casual’s seating, dining, kitchen and fire pit/table collections is integrated into the Room Planner from pull-down menus within the application and scaled to fit with one another, so users know exactly how much (or how little) they will need to make the outdoor room functional and fashionable. The possibilities are endless.